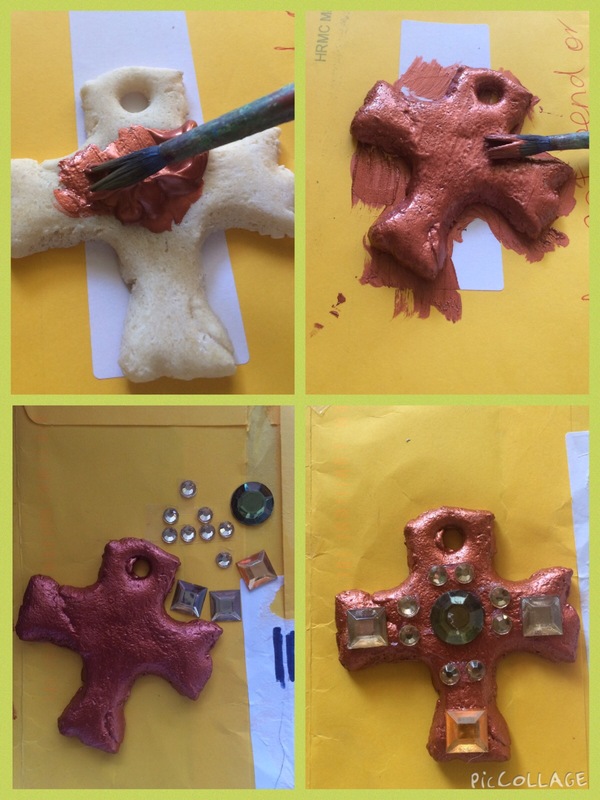 Salt dough (or play dough as it was called when I was a kid) isn’t just for children, you can make all sorts of funky things with it, including jewellery! Just shape it, bake it and decorate it, it’s that simple. There are a gazillion salt dough recipes out there (thank you Google), but most are just equal quantities of plain flour and salt mixed to a dough consistency with water. 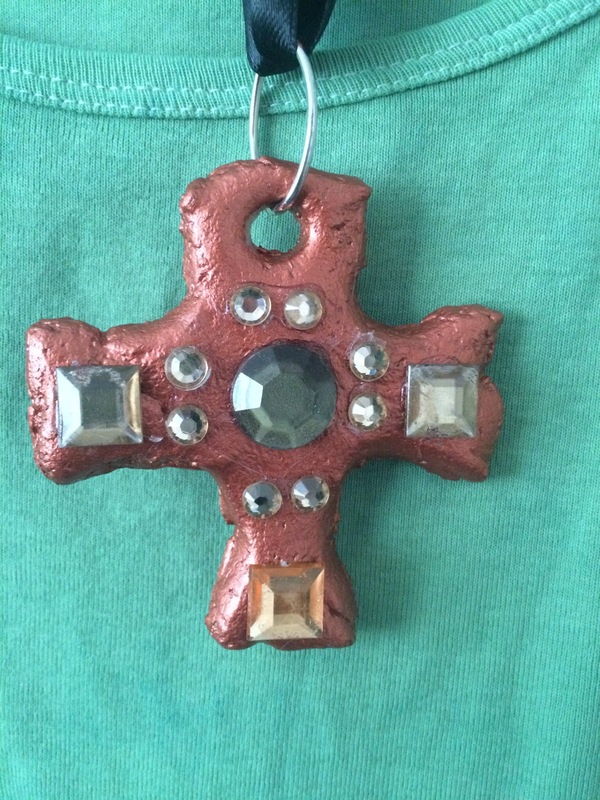 There’s no great mystery to this pendant, it’s exactly as it appears. 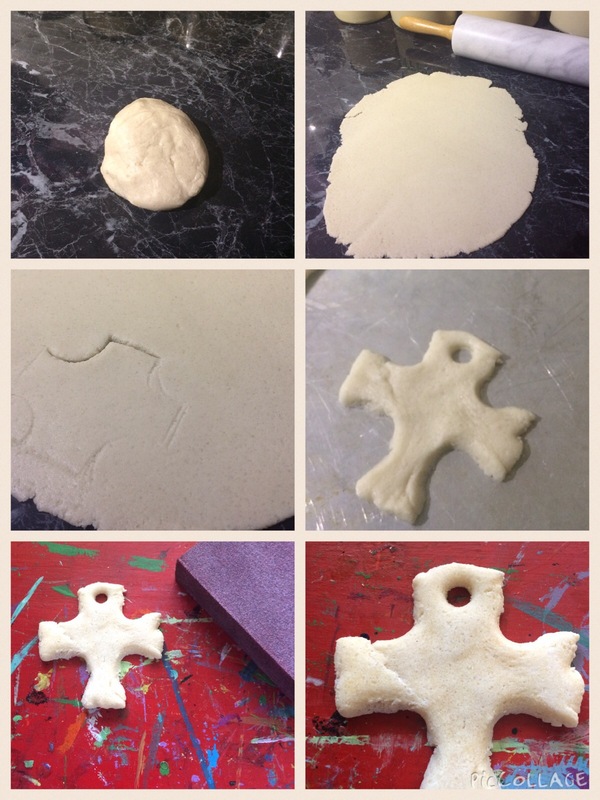 I rolled out the dough, cut the cross sort of shape, put a hole in the top with a chopstick and baked for an hour at 140 degrees Celsius. A little bit of sanding removed a few rough edges, then some copper coloured acrylic paint on both sides. Then a few plastic gemstones in gold and green colours glued on the top. A large oval jump ring and some black ribbon, and it was done. 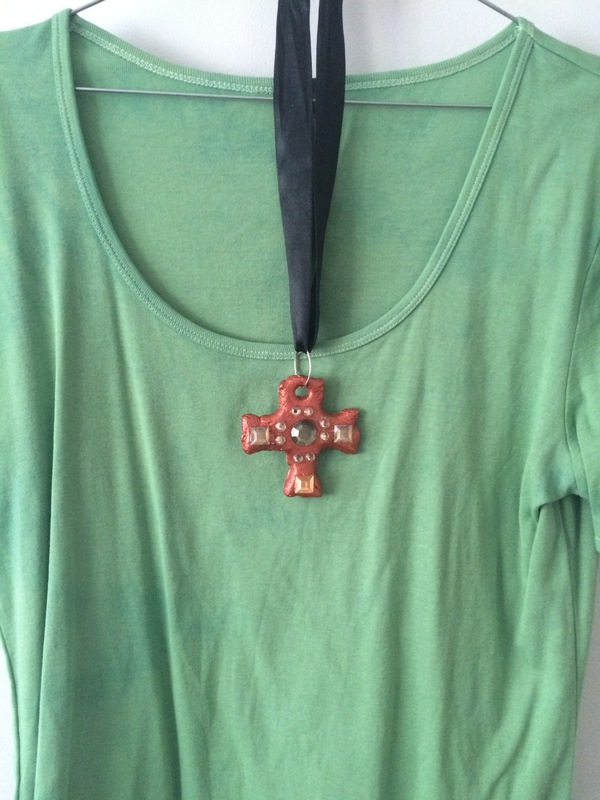 It looks great against my hand dyed green tee shirt, and with some jeans, black boots and a black cardi, was perfect to wear to work! 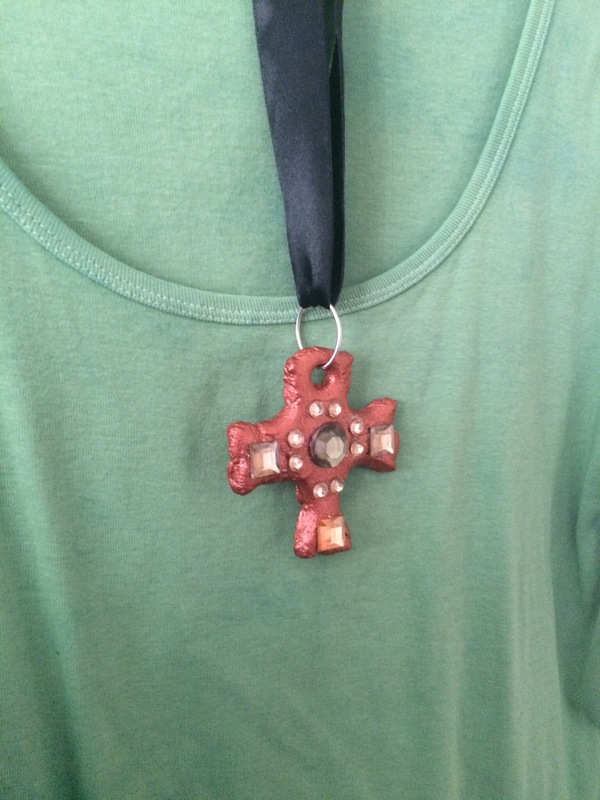 This entry was posted in Craft Projects and tagged bohemian, boho, Copper, craft, diy, gothic, jewellery, jewelry, necklace, pendant, ribbon, statement. Bookmark the permalink. Very attractive! Looks like fun. Thanks! Just a little something fun!